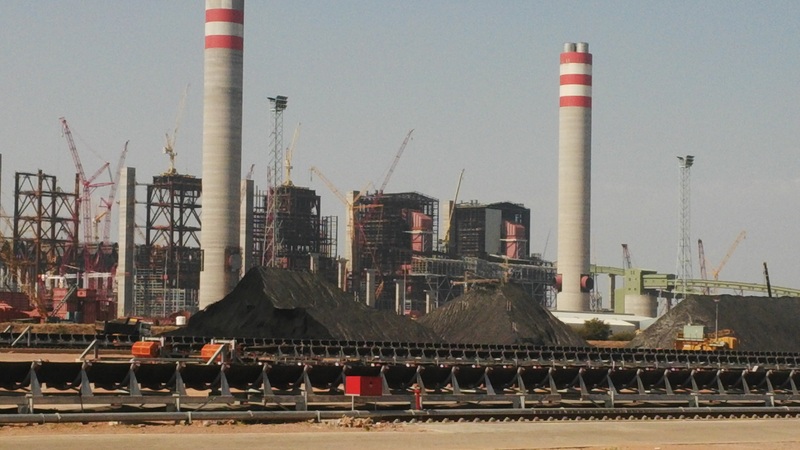 Medupi power station. Global coal use has doubled during the past thirty years and claims that coal is in terminal decline are dangerously premature. So the story goes like this: Eskom announces the early closure of five coal-fired electricity plants, beginning in 2020. It points the finger at renewable energy companies (Independent Power Producers, or IPPs) for producing unreliable, expensive power that is compromising Eskom’s market dominance and generating excess capacity. Unions (Num and Numsa and the two union federations (Cosatu and Saftu) oppose the closures. They criticise Eskom for its inefficiency, mismanagement and corruption. They commit themselves to saving the jobs of as many as 30,000 workers working in the power stations at Hendrina, Kriel, Komati, Grootvlei and Camden. These unions are also united in calling for a “just transition” for workers. This is a concept that was written into the preamble of the Paris Climate Agreement, after tenacious union pressure. The reactions to the Eskom closures therefore appear to reflect the conflicting “jobs versus environment” priorities of progressive forces. Given the established health- and climate-related impacts of burning coal, are the unions in this case not putting jobs before serious environmental concerns? And are not the environmentalists (again) advocating for “renewables by any means necessary” in order to save the planet, regardless of the immediate costs to working people? Unlike a decade or so ago, energy is today at the centre of huge social and political conflicts in many parts of the world, and the number of struggles is growing. Unfortunately, there are still too many instances where organised workers have lined up with large energy employers against environmentalists, farmers, ranchers and indigenous people. Such was the case of the brave struggle of the Standing Rock Sioux in North Dakota in the US, where construction union leaders represented workers building the Dakota Access Pipeline (DAPL). But the US is not alone. Unions in Argentina and the UK are divided on fracking. In Canada there is tension between unions over whether (and how) to exploit the bitumen in the Alberta tar sands, one of the world’s largest deposits of so-called “unconventional fuels.” In Germany, unions have sided with lignite coal producers and done their part in obstructing the steady advances made by the wind and solar companies. And Norway’s unions are not entirely united in their opposition to arctic drilling. The Eskom closures struggle is hardly unique. But it is one that has the potential to give impetus to a different kind of broad-based campaign. This could lead to breakthrough victory for the kind of class based environmental politics that could resonate beyond South Africa. How can this be done? The first thing is for environmentalists to acknowledge that the Eskom closures are not a definitive test of where unions and social movements stand on the environment and climate protection. Defending workers in coal is not the same as defending coal use. Similarly, defending the expansion of renewables should not involve supporting renewable energy companies and their privatisation, anti-public, and profit-driven agenda. Just as unions in the energy sector are sometimes enlisted to do the bidding of the employers, many large environmental NGOs have been comfortable with, and often materially assisted by, large wind and solar companies. They like to depict the old utilities as social dinosaurs. Both unions and environmental groups must therefore take an independent approach. This is the basis for a real and powerful unity. Energy systems are rapidly changing, but it is important to be clear about what is changing and what is not. There is considerable confusion. For example, the growth of renewable energy is often believed to be at the expense of fossil-based power like coal, oil, and gas—something that generates wild applause from environmentalists. But this is far from true. With global energy demand growing every year, all forms of energy generation and consumption are increasing. The lion’s share of new demand is being met by fossil fuels. True, coal use has slipped several percentage points since 2013, mainly due to the economic slowdown in China (which consumes 50% of the world’s coal). But global coal use has doubled during the past thirty years and claims that coal is in terminal decline are dangerously premature. Yes, “modern renewables” (mostly wind and solar) have grown fivefold in terms of installed capacity in just a single decade. However, they still only generate about six percent of global electricity supply. At this rate they may barely reach ten percent of electricity supply by 2030. Gas use has grown far more dramatically than wind and solar over the past ten years or so. Furthermore, global greenhouse gas emissions are rising, not falling. Meanwhile, the Paris Climate Agreement negotiated in late 2015 acknowledges the need for global warming to stay “well below 2 degrees Celsius”. In 2013, Price Waterhouse Coopers’ (PWC) annual Low Carbon Economy Index reported that the 2 degree Celsius target was “highly unrealistic.” If it was highly unrealistic then, it has clearly not gotten more realistic since. When viewed against this sobering backdrop, South Africa’s flawed and essentially neoliberal approach to driving renewable energy is failing, and will continue to do so. Its commitment to energy transition is—in common with many developed and major developing countries—a commitment to privatisation. Globally, the growth of renewables is having a disruptive and negative impact on the “incumbents” like Eskom. But this on its own is no cause for celebration—especially if the levels of renewables are inadequate. The costs of power rise, and progressive forces become more divided and in conflict with each other. Work needs to be done on the union side too. Cosatu, Num and Numsa have all condemned the announced closures, and the partial privatisation of Eskom by way of the IPPs. But there are differences that will need to be addressed. For example, Num’s position on renewables is problematic, “As much as we support green energy,” says Num, “we cannot ignore scientific facts that green energy is not as cheap as it is portrayed by the capitalist who are dealing with it. We know that capitalism is about profit maximization.” Num also expressed concerns about the problem of intermittent supply. Cosatu echoed some of Num’s concerns, including the enormous costs of renewables under the IPP system. But, unlike Num, it did not criticise renewable energy as a source of power, and declared itself “not hostile to the introduction of (IPP’s) by Eskom “as long as the IPPs behaved responsibly by creating jobs and skills for South African workers”. The problems of cost and intermittent supply are not, as Num suggests, intrinsic to renewables. High costs reflect profits and borrowing expenses. Social ownership, combined with a massive scale-up of renewables will create economies of scale and supply chains that will bring costs down. Aware of the negatives, Cosatu should reconsider its support for IPPs. 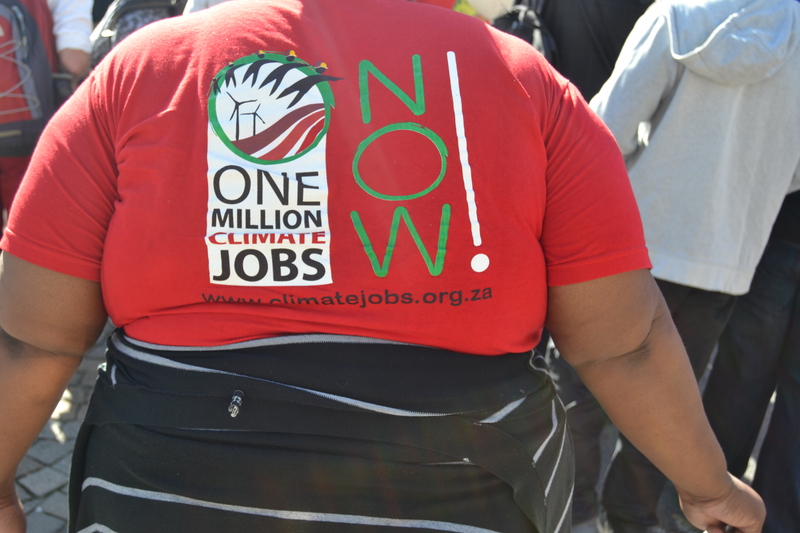 Currently, Cosatu’s support for IPPs, however critical it might be, will undermine the argument for an alternative approach that can give both the climate and workers a fighting chance. The present course—both in South Africa and globally—will lead to more splits and conflict within progressive forces. Both environmentalists and unions should therefore obstruct Eskom’s closure plans. Strike actions and mobilisations should be given full support. Chipping away at the market share of fossil fuels will not deliver the energy transition needed by South Africa and the whole world. The struggle around the Eskom closures can win if it is grounded in a positive, forward-looking vision that could anchor a united and powerful campaign. Today, building social power is the only way of protecting both workers and the environment.